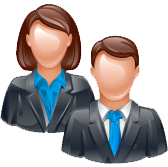 SalesQB.com (Website) respects the privacy and confidentiality of its past, present and potential future clients. Any inquires made of us via this Site and/or Service will be treated accordingly. We use the information you provide about yourself for internal use only. We do not share this information with outside parties. Access to this site or any of the associated domains, pages or sub-pages that are owned, controlled or operated by Company (the “Site”) or use of any information, recommendation, link, advertisement, (the “Service”) provided or inferred are subject to the terms and conditions of this User Agreement, the terms and conditions imposed by any linked sites not owned, controlled or operated by Company as well as any and all Copyright, Trademark, or other applicable laws and regulations. By accessing this Site or using its Services you unconditionally accept all of the terms of this User Agreement without modification or limitation. At its sole discretion, Company hereby reserves the right to modify, expand or delete any of these terms and conditions and/or to add new terms and conditions at any time. Any such changes will be reflected by changes to this screen and require no other notice to users. The materials used and/or displayed on the Site and/or provided by the Service, including but not limited to text, source software, photographs and graphics of any kind, audio or video of any kind, and names, logos, trademarks and service marks, (“Materials”), are the property of Company or its affiliates or its licensors and are protected by copyright, trademark and other laws. Any such Material may be displayed solely for your personal use and not reused commercially. You agree not to, in whole or in part; copy, modify, reverse engineer, distribute, provide third party access, sell, or disseminate it in any way without the express written permission of Company. THE SITE AND/OR SERVICE CONTAIN MATERIALS, INFORMATION, FACTS AND OPINIONS (“INFORMATION”) FROM VARIOUS INDIVIDUALS AND ORGANIZATIONS. THE SITE AND/OR SERVICE ARE PROVIDED ON AN “AS IS” BASIS WITHOUT WARRANTIES OF ANY KIND, EITHER EXPRESS OR IMPLIED, INCLUDING BUT NOT LIMITED TO WARRANTIES OF TITLE OR IMPLIED WARRANTIES OF MERCHANTABILITY OR FITNESS FOR A PARTICULAR PURPOSE. Company DOES NOT ENDORSE AND IS NOT RESPONSIBLE FOR THE ACCURACY OR RELIABILITY OF ANY MATERIALS, INFORMATION, FACT, OPINION, ADVICE OR STATEMENT ON THE SITE AND/OR THE SERVICE REGARDLESS OF ITS SOURCE. USE OF THE SITE AND/OR SERVICE IS AT YOUR OWN RISK. NEITHER Company NOR ITS EMPLOYEES, DIRECTORS, AGENTS, SUBSIDIARIES, AFFILIATES, REPRESENTATIVES, LICENSEES, OR LICENSORS SHALL BE LIABLE TO YOU OR ANYONE ELSE FOR ANY LOSS OR INJURY OR ANY DIRECT, INDIRECT, INCIDENTAL, CONSEQUENTIAL, SPECIAL, PUNITIVE OR SIMILAR DAMAGES ARISING OUT OF PUBLICATION, ACCESS OR USE OF, OR INABILITY TO ACCESS OR USE, THE SITE AND/OR THE SERVICE OR THE MATERIALS OR THE INFORMATION AVAILABLE ON THE SITE AND/OR SERVICE OR ARISING OUT OF ANY ACTION TAKEN IN RESPONSE TO OR AS A RESULT OF ANY MATERIALS OR INFORMATION AVAILABLE ON THE SERVICE AND THE SITES. YOU HEREBY WAIVE ANY AND ALL CLAIMS AGAINST Company AND ITS PARENTS, SUBSIDIARIES, DIVISIONS, AFFILIATES, AGENTS, REPRESENTATIVES AND LICENSORS ARISING OUT OF YOUR USE OF THE SERVICE AND THE SITES AND THE MATERIALS OR INFORMATION AVAILABLE THEREON.